Please find results for FPSL. 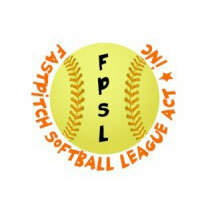 Fastpitch Softball League was formed in 1987 to provide a competition for men, with the purpose of developing junior boys to sustain our league for the future. From the original 6 teams we now have 28 teams, and it is our developing boys who have kept the league going. To strengthen our playing skills a tournament was started in 1988 sponsored by Ansett Airlines, later becoming known as Canberra Skins. The longest running men’s softball tournament of its kind Australia, by providing elite competition we have produced some of the top pitchers and players in the world. This tournament is recognised around the world and it is the reason why many international players want to play a season in Canberra, as they get to play against the best players, and participate in a great tournament unique to the world. The strength of our league and the development programs we have undertaken over the years is one reason ACT softball have won 14 men’s national titles. No other state or sport can boast of this record.